Some drugs just shouldn't exist and bath salts are one of them. 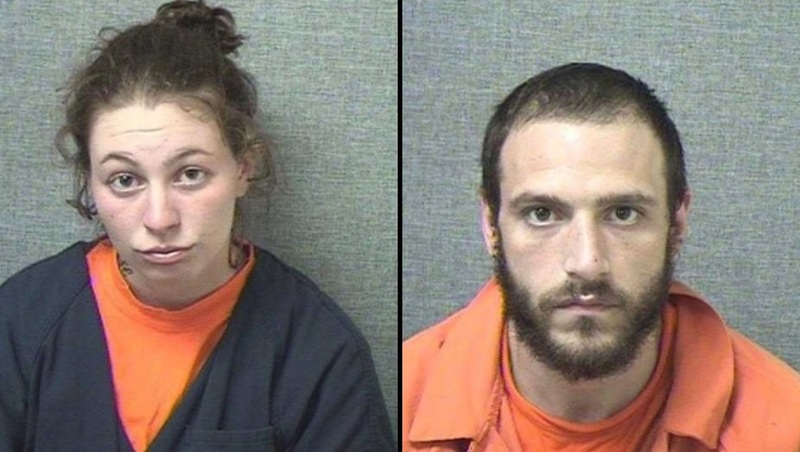 State Police in Clinton County say two suspects were high on bath salts when they shot at fireflies after mistaking them for green alien lasers. 30-year-old Jesse Shields and 22-year-old Katherine McCloskey were jailed as the result of a "bad trip". The bizarre series of events took place early Saturday morning and upon interviewing the two suspects investigators found they thought that fireflies were green lasers come from aliens that were out to get them. According to State Police, Shields fired his revolver in the air to scare away the lasers and then ran to a home on Long Run Road in Lamar Township. Once Shields reached the home he asked the homeowner to call the police because something was chasing them. When the homeowner went to call 911, Shields allegedly broke a window and then fled the home. He then went to a neighbor's house and broke a window there too. Somehow, the homeowner was able to get the gun from Shields who was asking to use his shower in order to wash the "goo" off his body that was burning his skin. State Police hit the bath salt couple with a slew of charges that include burglary, criminal trespass, public intoxication, and disorderly conduct. Neither of the suspects was able to post bail and were booked in the Clinton County Prison.